The first post in a year of Holmes' pastiches, one month at a time! "Rubbish, Watson, rubbish! What have we to do with walking corpses who can only be held in their grave by stakes driven through their hearts? It's pure lunacy . . . are we to give serious attention to such things? This agency stands flat-footed upon the ground, and there it must remain. The world is big enough for us. No ghosts need apply." 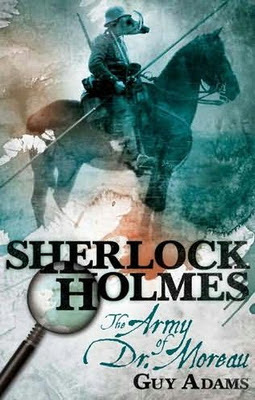 Consequently, I found myself intrigued by the cover and title of Guy Adams' Sherlock Holmes: The Breath of God, a new pastiche from Titan Books that finds Holmes and Watson embroiled in a case that challenges Holmes' cynicism. "The dead are rising," the back cover announces while the front features three shadowy figures amidst fog littered with occult symbols. The plot précis on the back informs us that Holmes and Watson will be teaming up with some of the most famous supernatural investigators of the nineteenth century: Algernon Blackwood's Dr. John Silence and William Hope Hodgson's Thomas Carnacki, as well as two occultists: the fictional and less-well-known Julian Karswell from The Night of the Demon (1957) and the historical and notorious Aleister Crowley. There was a brief whine that built into a solid, low hum. In his hands the glass tubes were now constructed as a mirror of the chalk shape we stood in. Surrounded by a fan of metal shutters, the tubes glowed brightly, powered by the acid battery in the wooden box, cables hanging between the two as he strode forward. 'The Electric Pentacle,' he explained, his face bathed in the blue light the device cast. 'A weapon of my own design, the gas in the tubes has mystical properties, the light it casts is hugely powerful.' He moved to the furthest point in the pentangle. 'It burns,' he said finally, pointing the pentangle out towards the darkness and flipping a large brass switch that dangled from one of the wires hanging around him. Adams says the Electric Pentacle was Hodgson's invention, so a number of other occult tech, such as a revolver with silver and rock salt rounds, are Adams' creations. Carnacki employs the Electric Pentangle in a scene which stretches the boundaries of Watson's worldview. As with Doyle's stories, Watson focalizes the action, and he has become increasingly dubious of his handle on reality as the narrative progresses. Holmes is absent in this scene, so Watson is surrounded by occult investigators and practitioners preparing to fend off a creature of darkness. Adams' choice to use Watson's first person perspective finds us as the reader in the same place, so long as we have given ourselves over to the novel's conceit, with any "faith in the logical and rational . . . almost entirely stripped away" (133). Crowley, Silence, and Karswell are pure spiritualists, believing the paranormal activity to be pure magic, where belief and conviction are key. Carnacki has a more rational explanation, that "it is nothing more a warped branch of physics" (200). And lest the Holmes purist should worry, Holmes remains Holmes, the dedicated cynic: while Watson has witnessed the occult activity, the great detective has been conveniently absent, and so remains conveniently dubious. 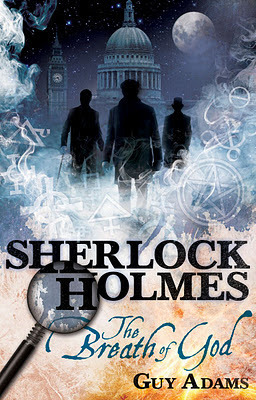 As a result, without the guidance of the cynical Holmes, Watson becomes a fictional reflection of Arthur Conan Doyle, as is the case in Mark Frost's Holmes pastiche, The List of 7. Part of Doyle's interest in spiritualism was the desire to speak with the ghost of his dead wife; Watson has visitations from his wife's ghost, which further shatters his realist convictions. I won't give any more information, as those would simply amount to spoilers, and Adams' has constructed a fun ride that challenges readers to judge for themselves what is really going on. As a neophyte reader to Holmes (I've only read a scattering of the short stories, and enjoyed some of the film and television adaptations), I found The Breath of God very accessible without resorting to exposition to deliver the quirks and habits of Watson and Holmes. While the mystery will be somewhat obvious to longtime mystery fans who are used to looking for the clues and aren't distracted by misdirection, the book is still enjoyable even after one has figured out what sort of game is afoot. Adams is a capable writer who has constructed a solid page turner: it's exactly the right book to bridge the gap between the modern tone of Ritchie's movies and Doyle's originals, which modern readers sometimes find difficult. 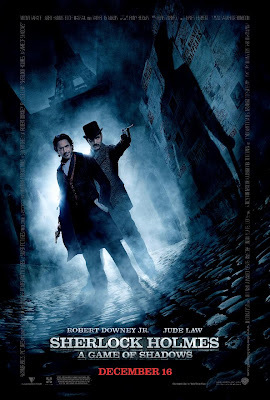 Adams has a sequel to coming out in July titled Sherlock Holmes: The Army of Doctor Moreau: "Following the trail of several corpses seemingly killed by wild animals, Holmes and Watson stumble upon the experiments of Doctor Moreau." Based upon my enjoyment of Adams' first outing with Holmes and Watson, I for one, am looking very forward to a trail of vivisection, crude genetic engineering, and mysterious animal hybrids. Fabulous. I do have a question, who's perspective is this written from? Do we get it funnelled through Watson's eyes or are we 'looking in' through third person narrative. The originals, of course, are filtered through the good Dr. Watson and the book I am currently reading (you know which one) I find fascinating in it's removal of this very standard storytelling technique that Doyle used, and is instead working from third person narrative. I don't think that I am working omniscient, perhaps limited, the pages will tell - but I am curious if this is going to be common theme for modern takes on the famous detective. First person - we're definitely funneled through Watson's eyes, which is essential for working with the Uncanny, that moment of hesitation as to whether what is happening is real, imagined, or the product of a deranged mind. I could have gone that route with this review I suppose, relating it to Todorov's idea of the Uncanny. I was wondering the same thing as you, but in reverse - would any of these pastiches be third person, as is also the case with Mark Frost's List of Seven. I need to check this pastiche out. I liked "The House of Silk" by Anthony Horowitz. 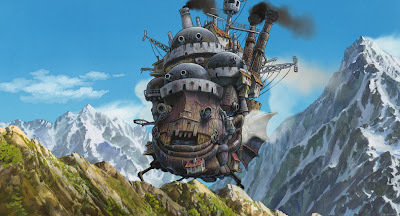 It captured the spirit of the canon and had couple of nice cameos!